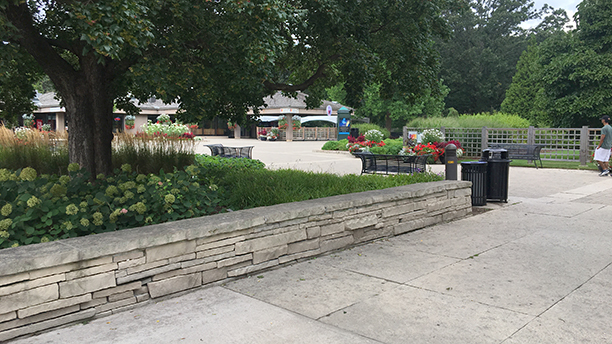 Niagara Parks School of Horticulture - PMA Landscape Architects Ltd.
PMA was challenged with developing a design that would provide for parking while remaining sensitive to the reputation shared by the Botanical Gardens, School of Horticulture, and the Butterfly Conservatory. 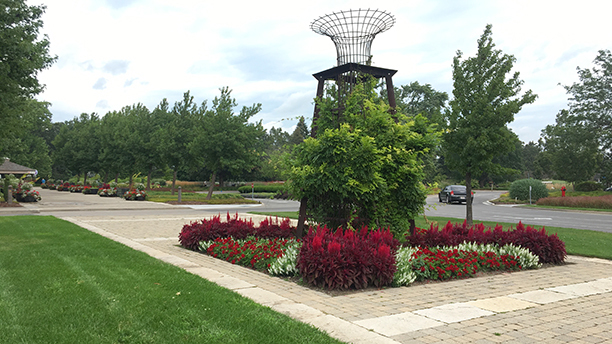 PMA developed a functional design that through horticultural selection and land forming fulfilled the mandate of horticultural distinction of the Niagara Parks Commission. 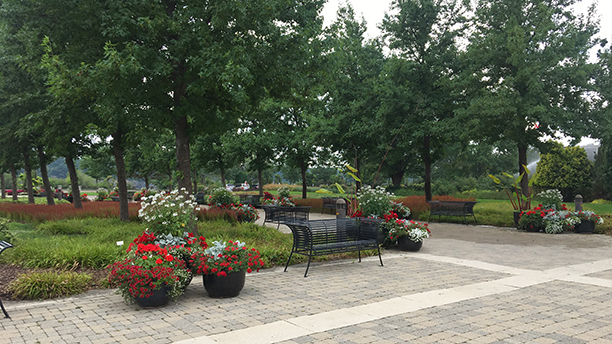 A streetscape approach to the parking area incorporated a diversity of uncommon showcase plantings to include the parking area as an extension of the gardens. 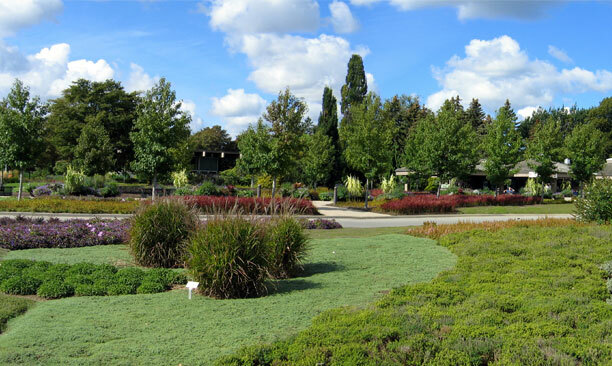 PMA, in consultation with the School of Horticulture, developed a planting plan, which demonstrated an astounding range of 187 species. 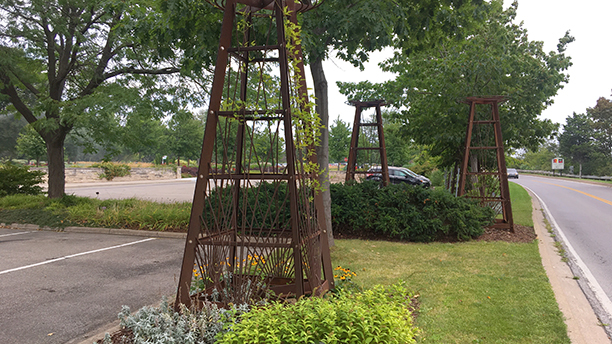 Climbing plants were the intended highlight of the site, for which PMA designed custom vertical elements. 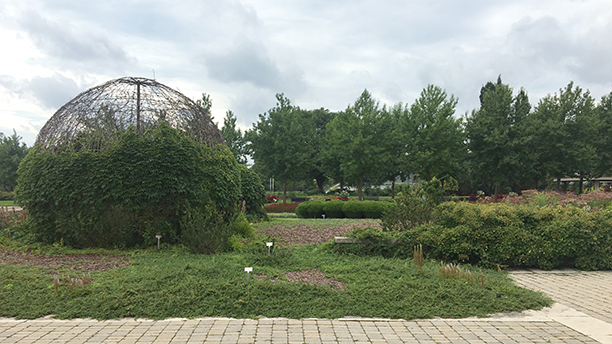 The parking area has remained functional, while reinforcing the image of education and the uncompromising quality for which the Niagara Parks Commission Botanical Gardens and School of Horticulture is known.